We had a good chat with the guys over at Formula today. They had some new bits and pieces to show us; here’s our favourites. Starting off we looked at the new fork, called the 35. There are four models to choose from: two in 27.5inch and the other two in 29inch, both having a EX version. 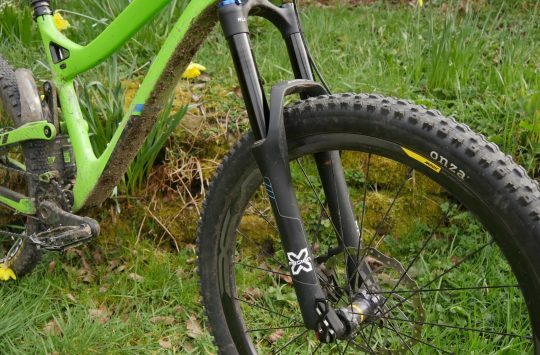 The EX models are Formula’s longer travel forks, which means you can have a 27.5in fork at either 100-160mm or 170-180mm. Both forks are internally adjusted by either removing or adding spacers. 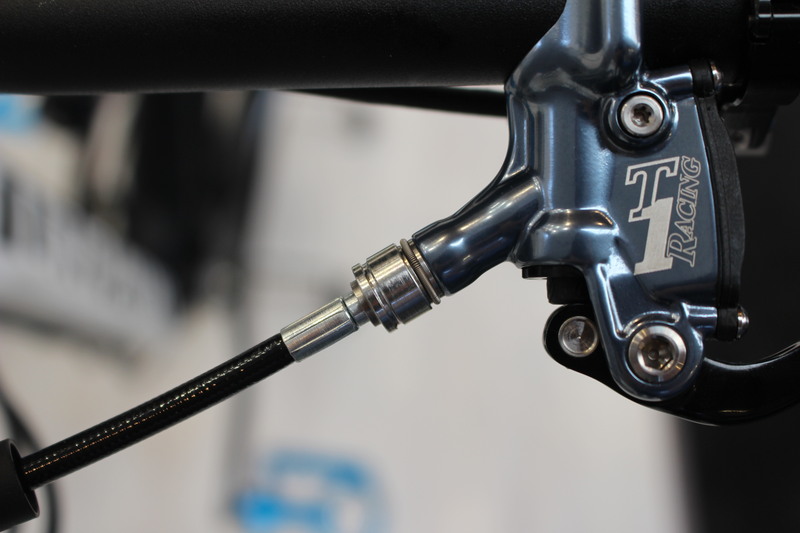 The fork is equipped with Formula’s DCS (Drop-in Cartridge System) technology. The DCS is a self-contained damper that controls the lockout, compression and rebound duties. Another neat new feature on the fork is the new Remote Cartridge Control (RCC). 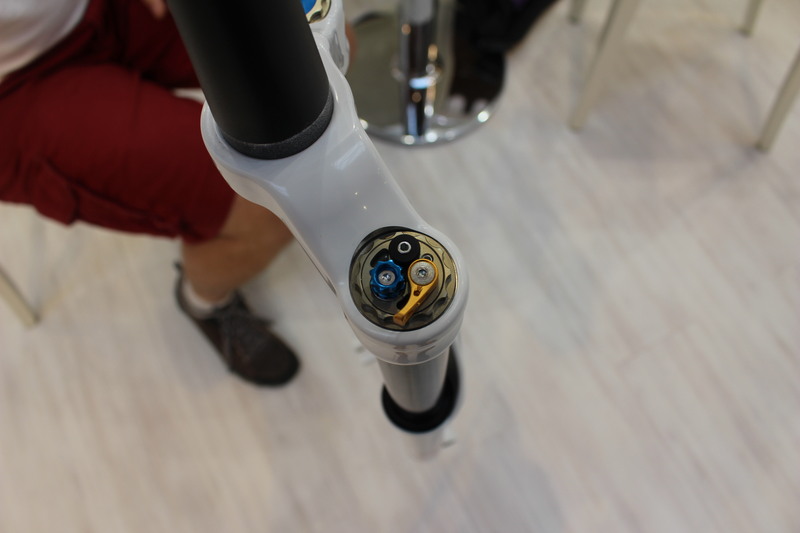 You connect the lightweight rigid hose to the top of the cartridge by removing the gold lock out lever and then threading the RCC into its place. No hydraulic fluid or mechanical inner and outer cables that can go wrong, just a solid rigid cable that turns as you pull the lever. Moving onto brakes, Formula have brought out the new CR3 brake. 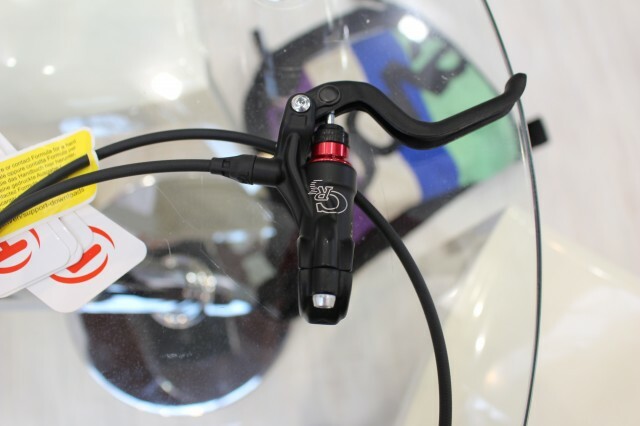 The CR3 is similar to the top model R0 brake, but made a bit more affordable. The new CR3 caliper has been designed with oval pistons that are smaller but still provide an ample amount of stopping power. The master cylinder is radial like the R0 and R1. 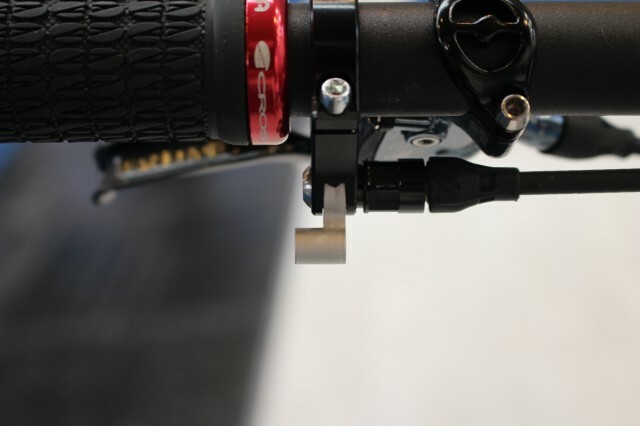 Another new feature on some of Formula’s brakes is the SpeedLock system. 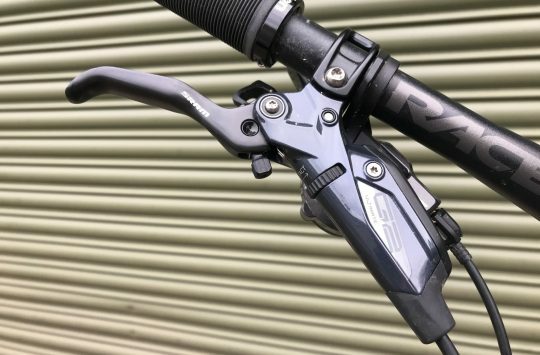 The SpeedLock (which allows you to split the hose at the lever without losing any fluid) itself isn’t new but for this year it’s been re-designed to be smaller and lighter. 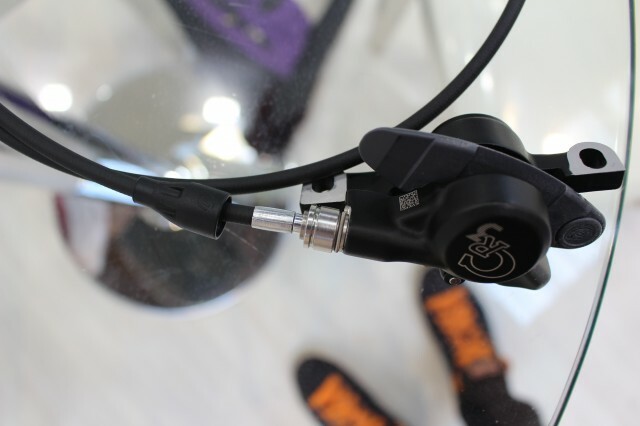 Its been slimmed down so you can fit the rubber cap over to hide it away and Formula has shaved a lot of weight by using a small locking ring, instead of the massive clip of previous years. 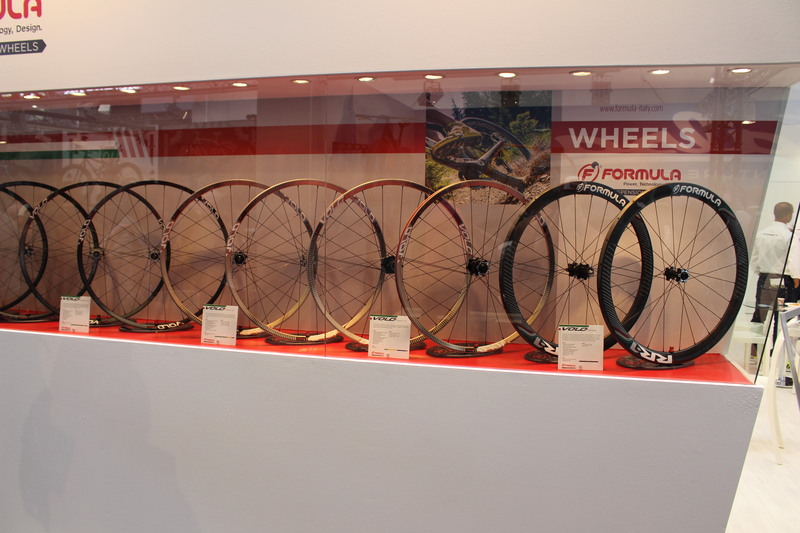 Also on display were Formula’s wheels. The range is split into two ranges, the XC and the AM. The XC range has three wheels: the Hyperlight, Superlight and Light. 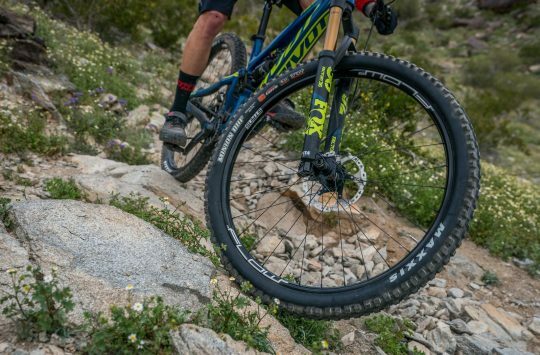 The Hyperlight is a carbon rim built onto the XC hub, available as a 29 inch race wheel. The AM range has two wheels: the Light and Hyperlight. 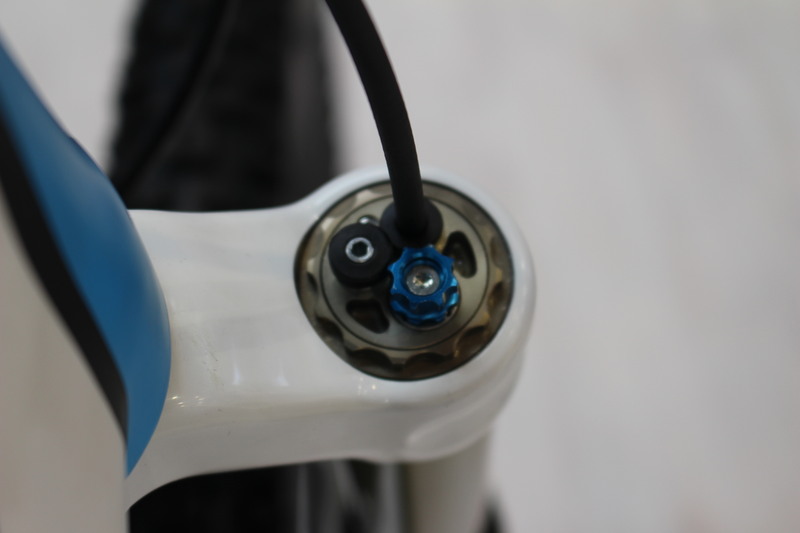 Once again the Hyperlight is a carbon rim built onto the AM hub and is aimed at the AM/enduro rider. 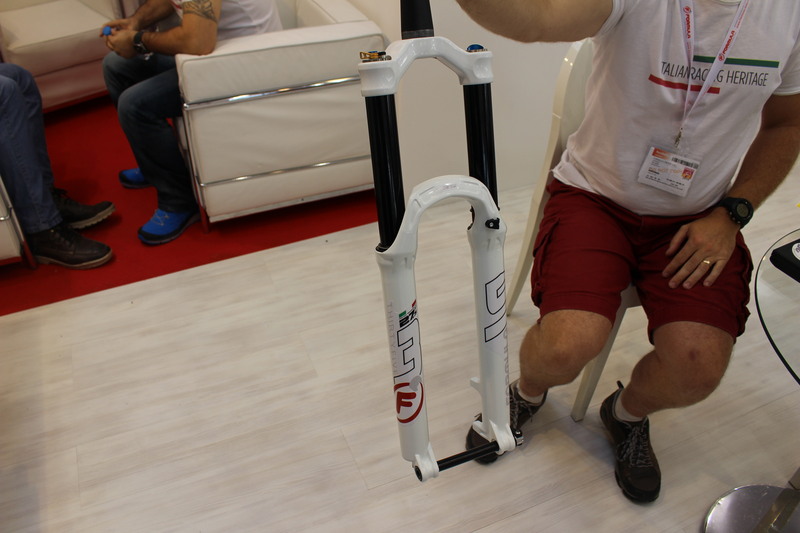 For all of our Eurobike coverage, click here.